Avid rower, John Dempster, has set out to help raise awareness for mental health issues in South Africa. In an effort to try help himself with his own struggles with mental health, he has aimed to race the 2019 Talisker Whiskey Atlantic Challenge. In doing so, he hopes to inspire other South Africans to come forward and deal with their own mental health issues. In attempting to complete the Atlantic Challenge, John hope to break the stigma attached to people who have suffered from Mental Health issues in their life. To do this John has partnered with the South African Depression and Anxiety Group (SADAG) and their “Suicide Shouldn’t be a Secret” programme which aims to lower teenage suicide rates in SA by interacting with and educating rural high schools. Suicide is the third highest cause of death in SA teenagers, accounting for a shocking 9.5% of all teenage deaths. The 2019 Talisker Whiskey Atlantic Challenge is 3000 miles long. It is the premier event in ocean rowing – a challenge that will cover more than 3000 miles from San Sebastian in La Gomera, Canary Islands, Spain to Nelson’s Dockyard, English Harbour, Antigua and Darbuda. The annual race begins in early December, with up to 30 teams participating from around the world. “The Watering the Mind Campaign is a chance for me to be open with others about my struggles with mental health. By rowing across the Atlantic I hope to show others that struggling with your mental health does not mean that you’re a weak person, and that great things can still be achieved. Partnering with SADAG allows me to combine my story with their efforts to change as many lives in South Africa as possible” said John. 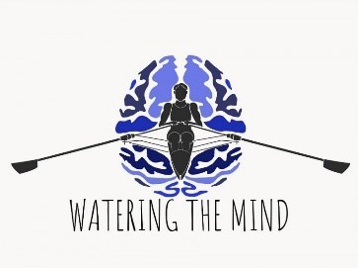 You can help to support the Watering the Mind campaign by giving money. The goal of rowing across the Atlantic Ocean in an effort to reduce the incidence of teen suicide in South Africa will not be possible without the generous support of others. If you feel that you would like to donate to this cause please visit www.wateringthemind.org.